Stephen Clark, Austin Peay State University Professor of Music (Emeritus), earned his B.M.E. and M.E.M. Degrees at the University of Central Oklahoma (formerly named Central State University), where he was awarded the music department's highest honor -- “The Outstanding Senior Music Major Award.” He earned his Doctor of Musical Arts (Clarinet) degree at the University of Oklahoma. Clark also studied, as an undergraduate, at the University of Houston. From 1972 through 1975, Dr. Clark was a member of the renowned United States Military Academy Band at West Point, New York. He has performed as clarinetist with the Oklahoma City Symphony Orchestra, the Nashville Symphony Orchestra, the Tech Community Symphony Orchestra, the Cumberland Quintet, the Lydian Chamber Players, and the Croissant Quintette, as well as countless chamber performances with various faculty colleagues at the Tennessee Governor's School for the Arts. Clark's chamber music performances include live broadcasts on National Public Radio at WPLN in Nashville, Tennessee and at WQXR in New York City. Dr. Clark's principal clarinet teachers include: Stephen Girko (former principal clarinetist of the Dallas Symphony), Peter Simenauer (former associate principal clarinetist of the New York Philharmonic), Dr. David Etheridge (DMA Eastman School of Music), and Dr. Jerry Neil Smith (PhD. Eastman School of Music), Loris Wiles (former principal clarinetist of the Oklahoma City Symphony), and Dr. Ronald Howell (DME University of Oklahoma). Clark has attended countless clarinet clinics and symposia (dating back to 1970) held at: The University of Washington, the University of Minnesota, DePaul University, the University of Denver (9x), The Catholic University of America (2x) , the University of Toronto, and the University of Oklahoma (32x). *Clark performed (as a doctoral student) for Dr. Lee Gibson's master class, during the very first OU Clarinet Symposium in 1976. In addition to having taught clarinet at APSU over a span 23 years and additionally saxophone for the first 9 of those years, Clark (in 1985) established and directed the APSU Woodwind Ensemble (*this included the APSU Clarinet Choir, the APSU Saxophone Quartet, and other woodwind chamber music combinations, as well). Stephen Clark was elected as an APSU Faculty Senator at the end of his first year at Austin Peay; and he was elected as the Secretary of the APSU Faculty Senate (and member of the APSU Faculty Senate Executive Committee) after just his second year on the faculty at APSU. Clark went on to serve for a total of nine years (3 terms) as a Faculty Senator. Additionally, Dr. Clark served on the faculty of the prestigious Tennessee Governor's School for the Arts for five summers (between 1988 and 1998). In 2001, Clark was honored with the highly respected "Tennessee Governor's School for the Arts Award for Outstanding Teaching". Stephen Clark had the distinct honor of serving as a clarinet recitalist and lecturer, as a faculty member of the 1989 University of Oklahoma Clarinet Symposium. In 1992 and 1993, Dr. Clark served as guest conductor of the University of Oklahoma Clarinet Symposium Clarinet Choir. Clark also performed as the clarinet soloist with the Tennessee All-State Women's Chorale at the 1995 TMEA Conference in Nashville, Tennessee. 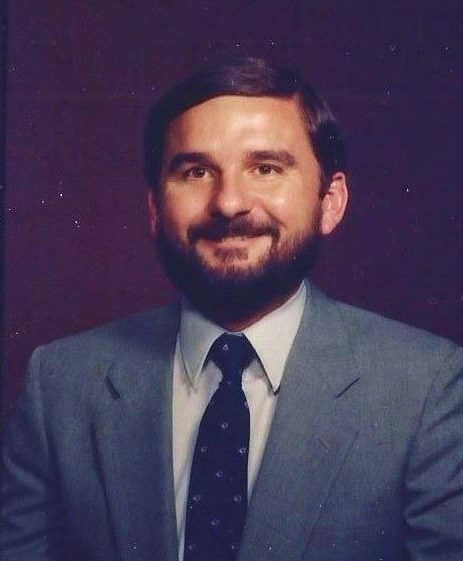 Prior to joining APSU's faculty in 1985, Clark taught at Tennessee Technological University, the University of Science and Arts of Oklahoma, the Moore Oklahoma Public School System (band director), the University of Oklahoma (graduate teaching assistant), Inspiration Point Fine Arts Colony Music Camp (12 summers), and served as the assistant conductor of the Oklahoma City Junior Symphony Orchestra.